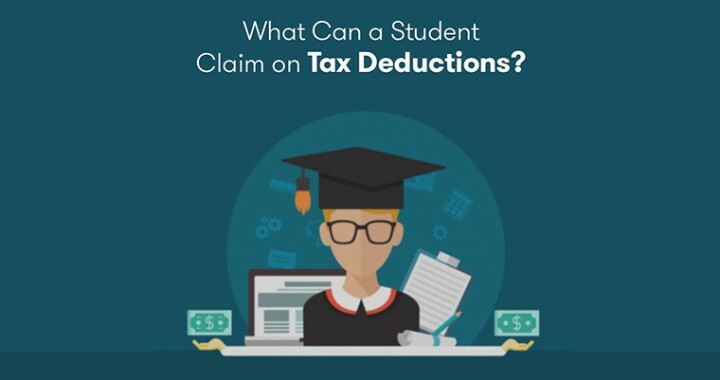 What Can a Student Claim on Tax Deductions? Thousands of students can now claim tax deductions for study expenses after a High Court ruled in favor of a primary school teacher, who fought against the Australian Tax Office to claim costs for deduction from her study against Youth Allowance payments. It is estimated that the ruling will cost the government nearly $80 million a year from existing students alone. Understanding Student Tax Deductions: There are a variety of student tax deductions available in Australia, and it is often tough to make ends meet as a student. To ensure you receive maximum tax saving benefits as a student, there are some tips that can help you out. Most tax deductions are connected to different types of out-of-pocket expenses that might be related to your income generating tasks or common expenses that were connected to new education courses that aid you to do your job properly. The expenditure and the connected circumstances are important in deeming if the expenses are eligible to be claimed for tax deductions. The expense was incurred and plays a role in self-education and work activities and income generation. You establish the fact that this study would lead to an increase in income in terms of your work activities. You establish a direct connection between self-education and work activities. The study was crucial to landing you a new job, to open a new business or facilitate new activities for income. Any person who is trying to boost their qualification but have no bearings on the current role. The eligible to claim deductions on self-education extends to course fees, textbooks, stationery, photocopies, computer hardware, Internet access, interest on loans on computer purchases, assignment expenses, etc. Occupancy expenses including mortgage interest, house rent, house insurance, Financial Supplement Loan Repayments, and the like cannot be included in the claims. Meals and Travel: You may be entitled to claim accommodation and tax rebates on meals too if you have to stay away from home, owing to study reasons. You can claim costs involved in staying overnight in another city once a week, especially if you have a house elsewhere in another city in Australia. Undertaking self-education related to current work. Require you to be temporarily absent from home for some days. If you have to take flights to travel for a study tour related to work. When taking sabbaticals for study. All types of conferences or seminars related to work. Enrolled in a known educational institution for appending new work related to current work. Equipment and Tools: One can claim self-education expenses for the tax deduction for any sort of work-related equipment and tools that are priced below $300. Laptop carry bags, university satchels etc. Reference books related to work. Telephone and internet fees used for work. Home office costs for additional work tasks. Tax agent fees required to file taxes. Any donation to registered charities and NGOs. Additional Facts Related to Student Claims on Tax Deductions: It is important to note that the first $250 of the costs involved is non-deductible. Unless the claim includes any sort of equipment depreciation or repairs, the first $250 worth of student tax deductions cannot be claimed in tax returns. It means if annual expenses included fees, textbooks, and miscellaneous stationery, students would have to deduct $250 from the total amount before claiming in the tax return. If you receive Austudy, it is important to be aware of financial standing before the financial year, rather than during tax time. Plan government allowances in a way that there is no tax by fiscal year-end. Preparation is important to resolve this situation efficiently. Also, for maximum benefits, it is important for students to prepare well in advance to claim student tax deductions with proper receipts of bills and records. The proof of purchase is essential for any claim during tax return filing. This means that one should have a record of receipts or invoices about your study and study-related items that you have spent over the year to pursue education aligned with your work. University students who are keen to do two jobs while studying for a particular course, then it is essential to keep a logbook of all trips to and fro jobs so that you can claim some of your car expenses as overall tax deductions related to travel between jobs. The amount over the year could prove to be sizeable too! Individuals who are on a student visa cannot claim self-education expenses, irrespective of the fact that there is income to be made on restricted working conditions. Foreign students are not liable to claim any tax deductions in any way. Students need to prepare for taxes right at the start of the financial year so that there are no hidden taxes that they would have to pay at the end of the year. Also, proper planning would ensure that students will be able to claim tax deductions on major expenses related to their study without missing out on any benefits.